Rental service is available for walk-in customers only. 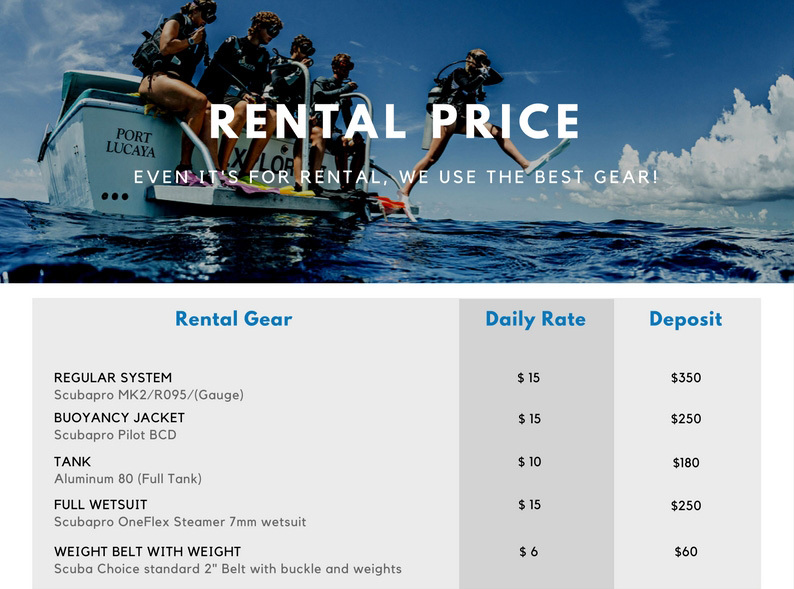 Renter is responsible for Checking Dive Conditions PRIOIR to renting - No Credit or refunds will be issued if you choose not to use your equipment. Renter is responsible for Checking All Equipment PRIOR leaving the dive shop. Please be sure tanks are full of air and all equipment is working to your satisfaction. Renter is fully responsible for any damage or loss of equipment and shall be charged any repair or replacement costs necessary to return gear to original condition. Please rinse all equipment prior returning to the shop. Any equipment returned dirty will be subject to a $10 Cleaning Charge.